We've cooked up a clever place to hide your jewelry, spare keys, credit cards, passport or other valuables in plain view. Our Cookbook Hardback Safe looks just like other cookbooks on your shelf, but inside is a lockable, metal compartment that's large enough for securing folded deeds, life insurance policies, birth certificates and more. Use our Homesafe Paperback Book Safe to store and protect valuables in plain sight. When stored with a collection of paperback books, the safe blends in perfectly. Open the cover to reveal the lockable safe for storing cash, credit cards jewelry - even important account numbers and passwords. Hardback Cookbook Book Safe is rated 4.7 out of 5 by 17. Rated 5 out of 5 by Catladyx6 from Love it This is a great idea to keep your valuables safe. It looks like a cookbook!! Rated 5 out of 5 by Love2shop2 from Looks good on a shelf. Makes a great inexpensive and unique gift! Rated 5 out of 5 by Love2shop2 from Practical gift This is a unique gift for any age. I've given it to my middle-school kids, to my nephew to use at college, and the cookbook version to girlfriends. Rated 5 out of 5 by MrTK from Why wouldn't you want one?! This product is great. It can be easily concealed in any bookcase and has a decent amount of room to store your valuables that you don't want anyone to find. I highly recommend this product to anyone looking for a unique place to hide things. Rated 5 out of 5 by HLT1 from Great Purchase This was sold out everywhere else. It really looks like a book and blends in well on my bookshelf. Deep protected inside with a sturdy lock holds plenty of items. Rated 5 out of 5 by skater from Hide it in the kitchen This is a PERFECT gift for my totally independent has everything brother. He is quite a cook and spends most of his time in the kitchen with his collection of cookbooks. Usually book safes are really blah looking and are sort of obvious of being a book safe. This "cover" is full color and really looks like a cookbook. Rated 4 out of 5 by MaryinDCArea from Pretty good camouflage This item provides decent storage for a small collection of valuables. Contents will slide, of course, when the "book" is stood up on a shelf. I have stacked several books sideways on one shelf with this box at the bottom, to avoid having to pad or bag the safe contents. This little safe will best pass for a book if it is placed well above or below eye-level. Unlike old-style versions in which the center was carved out of a real book that had only middle pages glued together, this will feel like a box to anyone who takes a close look or who picks it up--eg, a diligent housecleaner. Rated 5 out of 5 by Nini1 from Homesafe Hardback book safe This book safe blends in nicely with my desk and bookcase. I love it and highly recommend this to everyone. We all have items that need to be out of sight. Rated 5 out of 5 by FancyNancy from Great find This book safe is great to keep valuables since it has a key lock and looks just like a book. I keep it between other books and no one can tell. Great idea! Rated 5 out of 5 by Seaglass from Wonderful Idea This looks like, feels like, and seems like a dictionary in our library. 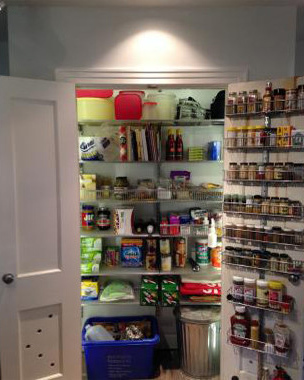 It is a perfect solution to hide small items that you just don't need a large, bulky safe; i.e. credit cards, passports, etc. I put mine with two other real dictionaries and it is impossible to tell the difference. Empty, our Hardback Cookbook Book Safe weighs 2.2 pounds.